Carol has dedicated her life to working with children and families. Following graduation from the University of Wyoming where Carol earned a Bachelor of Social Work, she worked with youth in residential treatment and later worked for the state investigating child abuse and neglect. In 1988, Carol began her work with Wyoming Children’s Society working with adoptive families and with young women facing unplanned pregnancies. Carol and her husband, Steve, have raised four children, three of whom were adopted from Korea. Kristi graduated from the University of Wyoming in 2007 with her Bachelor of Social Work. She and her husband, Andrew, are natives of Cheyenne. With the aid of Wyoming Children’s Society, they adopted two siblings from Russia in 2010. Kristi began working for Wyoming Children’s Society in 2008. She enjoys supporting families through the process of international and domestic adoption as well as working with birth parents. Liz began working in the public school system in northern Colorado after graduating from Colorado State University where she earned a Master of Social Work in 2009. While Liz calls Fort Collins home, she is grateful to remain close to Wyoming and to work part-time in both Colorado and Wyoming, continuing her work in the field of adoption. 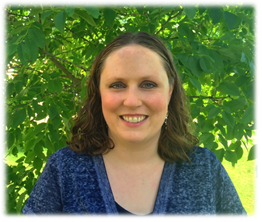 Liz started working for Wyoming Children’s Society in 2008 after completing her Bachelor of Social Work at the University of Wyoming. Liz’s time at WCS certainly feels longer as she spent much of her childhood in the office with her mother, who has served as the director since Liz was young. Susanna graduated from Washington University in St. Louis in 2006 where she earned her Master of Social Work. Since graduating, Susanna has worked on a healthcare patient satisfaction research project, a mental health FMRI research project and an international research project evaluating services for women and children in Southern Africa. 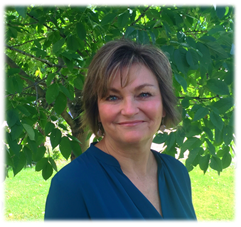 In 2016, Susanna joined the team at Wyoming Children’s Society. Susanna is married to Jason Bird and together they have five children. Susanna and Jason’s extended families have both been touched by adoption and Susanna is grateful to be a part of an organization whose mission is to support and strengthen families through the adoption process. In 2007, Christy graduated from the University of Denver with her Master of Social Work. She has worked as an adolescent case manager in Probation and the Department of Human Services, as a family therapist, and as a clinician for drug and alcohol and mental health patients. She and her husband, Quintin, have three sons. Christy started working with Wyoming Children’s Society in 2014. As an adoptee herself, she has a personal perspective and understanding about the process of adoption. She feels that it is a great honor to work with birth mothers and adoptive families.